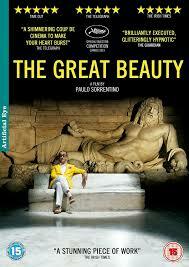 In Italy the title for this film is La Grande Bellezza. This did remind me of the work that the director Federico Fellini would direct and come up with. It has that atmosphere about it. The visuals are very good and beautiful to look at. The director has got a good eye for people and also makes the best of filming in Rome. The only thing I would say is that it is very long and didn’t need to be. Well over the two hours standing in at 2 hours 21 minutes although I have to say that the first cut was 183 minutes long. At the Academy Awards in 2014 this won one Oscar and that was for Best Foreign Language Film of the Year (Italy). At the Golden Globe Awards in 2014 this won one award and that was for Best Foreign Language Film (Italy). At the Bafta Awards also is in 2014 this won one award and that was for Best Film not in the English Language.